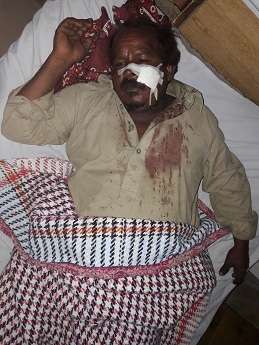 * PAKISTAN (RLPB 374), after militants from a faction of the Pakistani Taliban failed in their attempt to massacre the Christians of Warsak Dam Colony north of Peshawar. After considering the religious hatred inherent in the attack and the vulnerability of Christians, we praised God for his mercy and deliverance. 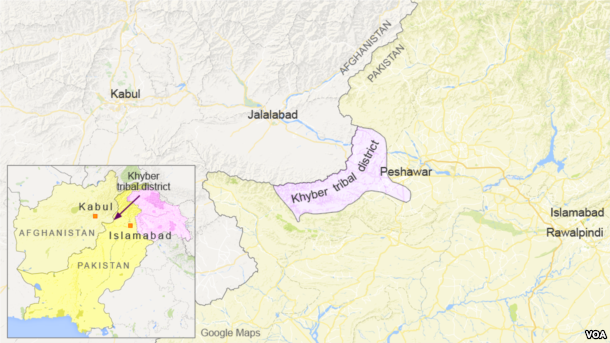 UPDATES: Video footage has emerged of the Pakistani Taliban's 'Special Group' undertaking military training in Swabi district, north-west Pakistan. Swabi district is on the eastern edge of Khyber Pakhtunkhwa Province, only some 80 km from Islamabad and Rawalpindi. The Taliban are back! On 18 September Nabeel Chohan, a 16-year-old Christian boy from Dina Nath village, Kasur District, Punjab Province, was arrested and charged with defaming and disrespecting Islam, and hurting the religious sentiments of Muslims. The complainant accused Nabeel of having 'liked' a Facebook image that showed the Kaaba in Mecca in a disrespectful light. As soon as the Christians of Dina Nath village heard that Nabeel had been accused, they fled their homes in fear of the Muslims. The police have secured the village and are calling on Christians to return. One of Pakistan's leading Christian human rights lawyers, Mushtaq Gill, has finally succumbed to pressure and fled the country with his young family. Over the course of a decade, Gill received numerous death threats and survived several assassination attempts. Mushtaq Gill and his family now join the many thousands of displaced and destitute Pakistani Christians in exile, hoping to find sanctuary outside their homeland. Pakistani Christians will mourn this loss. May God raise up new advocates to defend the cause of his suffering Church. * RUSSIA, JORDAN, UZBEKISTAN (RLPB 375), praying for those in authority, that religious liberty might be restored or realised. UPDATES -- RUSSIA: On 5 September a court in St Petersburg found Archbishop Sergei Zhuravlev of the Reformed Orthodox Church of Christ the Savior (Kiev Archdiocese) guilty of illegal missionary activity; he was issued a fine. On 10 September two American citizens were arrested for participating in worship at Kaluga's Word of Life Pentecostal church; they were fined but not deported. On 17 September police arrested participants at a Pentecostal youth conference in Samara; all were later released. On 23 September in what is finally a win for common sense and justice, the Novosergiev district court of Orenburg Province issued a decision in favour of Pastor Alexander Demkin of the Church of Evangelical Christians-Baptists (EKhB), rejecting the ridiculous charges brought against him by the prosecutor's office. As had quickly become evident, the Baptist church's summer programs for children have overwhelming community support. On 20 September Russia's Civic Chamber -- a 126-member oversight committee with consultative powers -- conducted a hearing on the anti-mission measures. While the law's shortcomings were debated, statements made in support of the measures indicate that this law -- particularly as it applies to Protestants -- has more to do with geo-politics than religion. Pray for strategic Russia. UPDATES -- JORDAN: Having boycotted elections in 2010 and 2013, Islamists now hold 15 of 130 seats. So while the Muslim Brotherhood is back and Islamists have a voice in parliament again, it is a small voice -- diluted, as was intended. None of the Christians who ran on Islamist tickets was elected. However, nine Christians did win seats, the minimum 'guaranteed' to the Christian minority from the electoral quota system. On Sunday 25 September prominent Jordanian writer, Nahed Hattar (56) -- who, though raised a Christian, professed atheism -- was assassinated on the steps of the court where he was fighting charges of insulting Islam. Hattar had posted a cartoon on Facebook which he said only mocked the jihadist view of paradise. Unfortunately, the jihadist view of paradise is the Qur'anic view of paradise, which is precisely why so many Muslims were angry enough to want Hattar dead. Hattar, a strong supporter of Syrian President Bashar Assad and outspoken critic of ISIS and al Qaeda, had accused his Islamist opponents of using the cartoon as a way of settling scores with him. On Monday 5 September King Abdullah and Queen Rania launched a program aimed at combating Islamic radicalisation. The government intends to reform education and increase management of mosques. To modernise and secularise the school curriculum, all Qur'anic references will be removed from non-religious texts. There are even plans to replace religion with art and philosophy. Islamic fundamentalists will surely resist. Pray for strategic Jordan. * CENTRAL AFRICAN REPUBLIC (CAR) (RLPB 376), which is French-speaking majority Christian (mostly Protestant), remains divided with around half the country occupied by foreign-backed mostly Arabic-speaking Islamic jihadists. 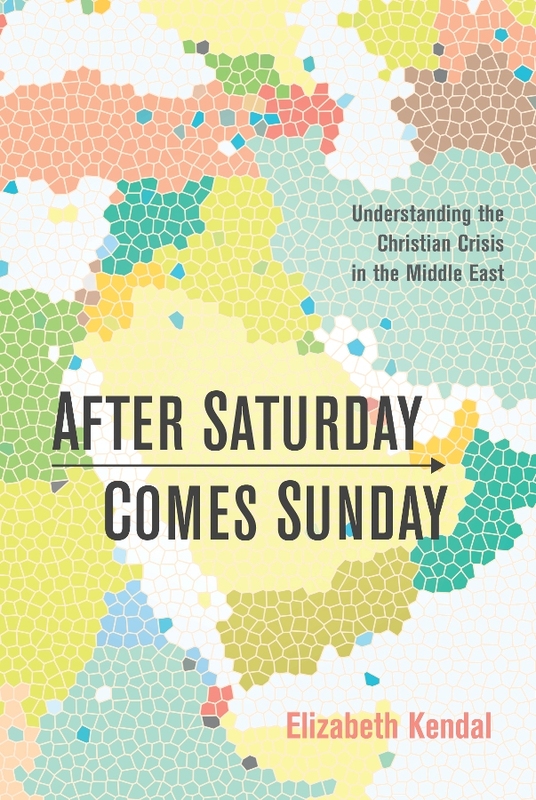 For Christians living in rebel-held territory, security is tenuous and massacres persist. May God intervene in CAR. Updating RLPB 372 (23 Aug): On 6 August Algerian Christian Slimane Bouhafs (49) was found guilty of blasphemy against Islam and its prophet after he opined on social media that the light of Jesus was overcoming the 'lie' of Islam and its prophet in the Kabyle region. For this, Bouhafs received the maximum penalty: a hefty fine and five years' imprisonment. Middle East Concern reports that on 6 September an appeals court reduced the sentence to three years. However, this is not good enough. The Protestant Church of Algeria will now appeal to the Supreme Court. 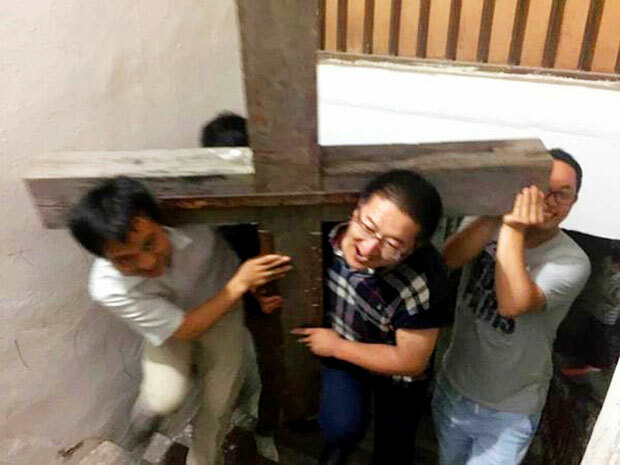 Beijing-based Christian human rights lawyer and 'defender of the cross' Zhang Kai was arrested in August 2015 while providing legal advice to harassed churches in Wenzhou [RLPB 325 (1 Sep 2015)]. On 25 February 2016 Zhang appeared on state TV, 'confessing' to his 'crimes', expressing remorse [RLPB 346 (1 March)] and warning other human rights lawyers not to collude with foreigners. When he was subsequently released on bail, Zhang returned to his mother's home in Inner Mongolia. In late August Zhang breached his bail conditions by posting a video on WeChat in which he retracts his former statement, which he said was made under duress after experiencing a six-month detention that was 'all black and no daylight'. On 31 August security police from Wenzhou City surrounded Zhang's mother's Inner Mongolia home, arrested Zhang and took him away. His condition and whereabouts remain unknown. On 18 October 2015 Iranian convert asylum seeker Amir H. (24) was seriously injured in a German refugee shelter when he was beaten unconscious by an Afghan Muslim asylum seeker armed with a telescopic baton [RLPB 333 (Oct 2015 Update)]. Between 15 and 20 men intervened to restrain the Afghan and then help him flee the scene. The Afghan was arrested in December 2015 and charged with attempted homicide. On 5 September a Hamburg court acquitted the Afghan, citing 'lack of evidence'. Though the Iranian victim had testified that the accused attacked him for converting to Christianity (motive), and that he had shouted 'Allahu Akbar' and threatened to kill him (intent), none of the witnesses -- all of whom were Muslim -- would support Amir (an apostate) or testify against a fellow Muslim. Consequently, the court ruled that a motive had not been established, meaning it had to accept that the assailant may have acted in self-defence. The Christian Police Union reports that attacks against Muslim converts continue to be a problem. The Battle for Syria has shifted to a whole new level. This is partly due to the breakdown of the Russia-US ceasefire agreement, but also due to Turkey's military incursion into northern Syria. The Turkish military has its sights set on al-Bab. Consequently, the Syrian government has moved to win and end the Battle for Aleppo. The Aleppo Sharia Council has issued a decree deeming Turkey's operation Euphrates Shield a 'legal jihad' to be supported. Imbedded with the Turkish forces are some 40 US Special Forces troops. 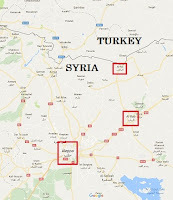 The presence of US troops guarantees the Turkish forces, and their Free Syrian Army allies, protection from Russian air strikes. Despite this, video footage has emerged of US-backed FSA fighters hurling abuse at the US troops in al-Rai, calling them crusaders, dogs and pigs etc. 'Christians and Americans have no place among us,' shouts one man in the video. 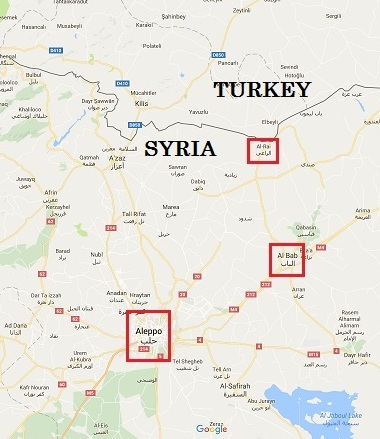 Turkey wants to carve out a Turkish enclave through which it and the Gulf Arabs can escalate supply of advanced weaponry to the rebels in eastern Aleppo. Assad's hand has been forced. The war will escalate. Please pray for the Christians in Syria. In March 2013 Bangui -- the capital of predominantly Christian (some 76 percent) Central African Republic (CAR) -- was overrun and seized by 'Seleka' -- a foreign-backed alliance of well-armed local and foreign Islamic militias [RLPB 210 (May 2013)]. Seleka's advance and rule were brutal. But for CAR's Christians the worst was how so many of their Muslim neighbours celebrated Seleka's arrival, even rushing to loot the homes of their now imperilled Christian neighbours. Trust was shattered. Eventually, in January 2014, Seleka was driven from the capital along with its supporters and indeed any hapless Muslim who could be found [RLPB 243 (Jan 2014)]. At that point, France and the UN intervened; now the conflict is frozen with nearly half the state under the control of Islamic militants. Violence and insecurity persist, especially on the 'front-line' [see RLPB 362 (June 2016)]. The freezing of the conflict has left Christians whose towns and villages are now in rebel-held territory in a precarious position. The Islamic rebels (and their foreign backers) want CAR formally partitioned so the north might become an independent Islamic State [RLPB 259 (May 2014)] – complete with its diamonds [map]. Determined to preserve the de-facto partition, Islamic militants are undermining all the government's efforts to promote reconciliation. Kaga-Bandoro, the capital of the Nana-Grebizi economic prefecture, is a market town in the northern Central African Republic, some 245km north of the capital, Bangui. A mostly Christian city, Kaga-Bandoro is also home to many thousands of displaced Christians from across the north-central region. But Kaga-Bandoro is in rebel-controlled territory, meaning its mostly Christian residents are essentially being held hostage. According to the local media organ, Radio Ndeke Luka, 'anti-Balaka' fighters [village defense militias] from various villages across the region had gathered in the village of Ndomete, some 10km from Kaga-Bandoro. They were allegedly plotting to liberate the city and drive the Islamic militants out. However, on the evening of Friday 16 September, ex-Seleka fighters under the command of General Alkatim Mahamat swept through Ndomete, going door-to-door killing Christian villagers. According to Radio Ndeke Luka, 19 were slaughtered while dozens were injured. The spokesman to the Presidency, Albert Mokpeme, called it a 'massacre'. The next day clashes erupted in Kaga-Bandoro where at least five more were killed. An aid worker was seriously wounded. The rebels rampaged, looting the radio station, local businesses, aid agencies, as well as the Church of the Nativity which hosts and supports a large population of displaced Christians. Peacekeepers from the United Nations Multidimensional Integrated Stabilisation Mission in the Central African Republic (MINUSCA) were deployed to the area. Having separated the parties, they are now keeping the 'peace' and calling on the belligerents to lay down their weapons. * intervene in Central African Republic (CAR), giving great wisdom, strength, courage and authority to all who work for peace and reconciliation, especially President Faustin Archange Touadera and all CAR's Church leadership. * rise up on behalf of the Church in CAR, so that all foreign Islamic militants will be driven out and the borders secured; may the Lord bring healing to CAR. * influence CAR's Muslim minority, causing them to tire of violence and chaos and to withdraw their support from the rebels, who have only brought them trouble, displacement and poverty; may their hearts be open to the Gospel. Central African Republic (which is 76 percent Christian) remains divided with the north largely under the control of foreign-backed local and foreign Islamic militants. Christians whose towns and villages are in rebel-held territory live with terrible insecurity. Hundreds of thousands are displaced and the 'front-line' is perpetually volatile. On 16 September an Islamic militia swept through the mostly Christian village of Ndomete north-central CAR, killing 19 residents and wounding dozens. The government has labelled it a 'massacre'. 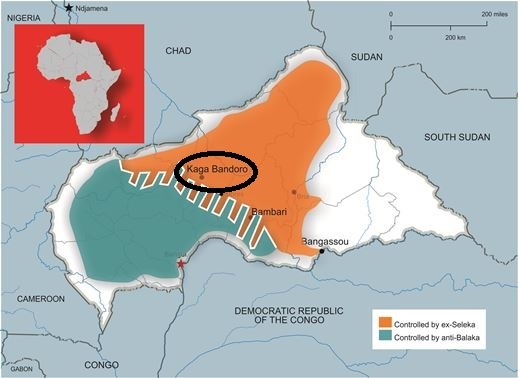 The next day clashes erupted in nearby Kaga-Bandoro claiming at least five more lives. UN peacekeepers were deployed to the area and are now maintaining the 'peace'. Please pray that God will intervene in this forgotten, continuing conflict to bring about peace, justice and liberty. Please pray for CAR and its Church. While God offers salvation to all people freely, lack of religious liberty and security make Gospel witness and conversion incredibly costly. In many places the Church is forced 'underground', depriving those who are perishing of life-saving witness. In the days when the cruel despot Nero ruled over the Roman Empire, the Apostle Paul urged the church to pray for 'all those in authority' to the end that we might live openly as Christians sharing the Gospel freely. Paul declares such liberty to be 'good', something that 'pleases God our Saviour, who wants all people to be saved and to come to a knowledge of the truth' (1 Timothy 2:1-4 NIV). With this in mind, let us pray for religious liberty and security in two states heading into elections, and one undergoing political transition. Russians go the polls on Sunday 18 September to elect a new 450-seat Duma (legislative assembly, lower house). The Russian Duma is a diverse house, comprising 'progressives', traditionalists, Communists, nationalists, 'hawks' and 'doves'. Western sanctions have brought great economic hardship to Russia. This has empowered the 'hawks' within Russia's ruling United Russia party which is now slumping in the polls. On Tuesday 6 September, President Putin told the party that the deeply unpopular anti-terror laws -- which include shocking anti-mission measures -- may need to be 'adjusted to not put people in a difficult position' (Stratfor Intelligence, 8 September). Pray for President Putin and Prime Minister Medvedev and for God to intervene in Russia to guide the electorate and all those in authority to the end that religious liberty might be restored. Jordanians go to the polls on 20 September to elect a 130-seat lower house by means of a new electoral law. Though the new voting system is expected to lead to increased Islamist representation in parliament, the system has been designed to ensure the Islamists are diluted in a pool of some 50 parties. With a large Palestinian minority and many thousands of Iraqi and Syrian refugees, Jordan is volatile. The monarchy hopes the new voting system will give the government greater legitimacy. Christians in Jordan are free to worship openly, but not to witness to Muslims. Pray for King Abdullah and for God to intervene in Jordan to guide the electorate and all those in authority to the end that Christian liberty and security might actually be enhanced. On 2 September, Uzbekistan's long-time autocratic ruler, Islam Karimov (78), died of a stroke. Prime Minister Shavkat Mirziyoyev (58) will serve as Acting President until a presidential election takes place sometime within the next three months. Uzbekistan's repressed and persecuted 0.75 percent minority Christians do not expect their situation to improve -- some fear it might get worse. Officially secular, Uzbekistan is 90 percent Muslim and the threat posed by Islamic jihadist and revolutionary movements is real. Laws designed to clamp down on these movements are also used to persecute Christians and repress Protestant Christianity which the government regards as a 'foreign' and destabilising force. Please pray for Acting President Shavkat Mirziyoyev and all those in authority in Uzbekistan to the end that the Church may be free to worship, minister and witness. As we come with our requests we are acutely aware that we fall short in so many ways. And so we pray with the mind and heart of your servant Daniel, and appeal for your action and plead for your intervention, not because we deserve it, but because you are merciful (Daniel 9:16-19). Because you, O Lord, have compassion for the 'harassed and helpless' who live like 'sheep without a shepherd'; and because you, O Lord, long to see more workers in your harvest field (Matthew 9:35-38) we ask that you would intervene in states where religious liberty is not respected, and where Christian ministry, witness and conversion are prohibitively costly. Intervene, Lord, directing the hearts of 'kings' (Proverbs 21:1), raising up Cyrus-like figures (Isaiah 45) -- leaders whom you will lead in the interests of your Church and for the blessing of the world. May enemies be stripped of their power and may doors be opened (Isaiah 45:1) so that people might come to a knowledge of the truth (1 Tim 2:1-4) whereby righteousness might flourish and salvation sprout (Isaiah 45:8) in Russia, in Jordan, and in Uzbekistan -- indeed in all the world 'as the waters cover the sea' (Isaiah 11:9, Habakkuk 2:14). Please take any one of the three paragraphs here -- Russia, Jordan or Uzbekistan -- for use in church bulletins and for your prayer focus of the week. On 16 August the Pakistani military launched Operation Khyber III in the Rajgal Valley. This is close to the Afghan border in northern Khyber Agency, in Pakistan's north-western Khyber Pakhtunkhwa Province. The operation is aimed at curtailing cross-border movements of Islamic militants and destroying militant hideouts in the tribal, rugged border region. From the outset the operation has achieved good results. On 1 September military spokesman, Lieutenant-General Asim Bajwa, told a press conference in Rawalpindi that the military campaign was progressing well and meeting with success. However, any operation against jihadists is bound to trigger a backlash. Located close to where the Pakistani military is operating, some 25km north-west of Peshawar (the provincial capital of Khyber Pakhtunkhwa Province), on the Kabul River, is the Warsak Dam. A few kilometres from the dam is a military training camp and school, the Cadet College Warsak. There is also the Warsak Dam Christian Colony, a gated colony of some 30-40 Christian families who earn their living labouring at the dam. In the early hours of Friday 2 September four allegedly foreign suicide bombers approached the Cadet College intending to attack it. 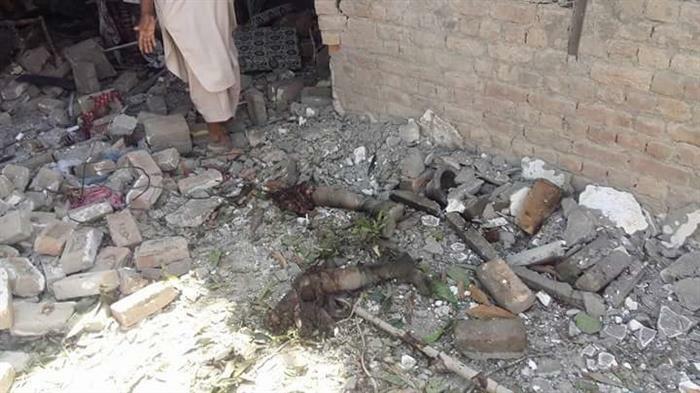 No doubt the militants aimed to replicate the December 2014 terror attack on the Army Public School in central Peshawar in which 145 people, including 132 schoolchildren, were cruelly slaughtered. However, having intercepted chatter indicating that an attack on the college was imminent, Pakistani intelligence had strengthened security, placing security personnel on high alert. As the four would-be terrorists approached the college they could sense their plot had been thwarted. Fully prepared for carrying out an act of terror and no doubt keen to die as martyrs, the militants decided to strike the nearby Christian colony instead. According to MorningStar News, the four assailants waited outside the main gate of the colony until Christian resident Samuel Masih (55) unlocked it at 5:30am. Whilst accounts vary, it seems that, though Masih was shot and killed, someone was able to telephone the police. Already close by and on high alert, security personnel were quickly on the scene and a fire-fight ensued. Two terrorists were shot and two blew themselves up. Later that afternoon, an Islamic terrorist detonated his explosive vest inside a district court in nearby Medan, killing at least 14 people and wounding 58, many critically. The dead and injured included many lawyers and police. Pakistani Taliban faction Jamaat-ul-Ahrar (JA), which maintains close ties to Afghan Taliban and al-Qaeda, claimed responsibility for both attacks. In what is certainly an answer to prayer, the security forces moved extremely quickly to save the Christians of Warsak Dam Christian Colony. As intercessors will know, this is not usually the case. Indeed, police have been known to stand at a distance while Christians are slaughtered. Praise God -- that did not happen this time! [A similar police intervention occurred on Friday 6 May when security personnel intervened to prevent a pogrom (see RLBP537, 18 May 2016).] This is a positive development. * comfort and support Razia, the widow of Samuel Masih, and the couple's five children, aged 12 to 22; may they know the healing and provision of the Lord, their glory and the lifter of their heads (Psalm 3:3). * command his angels (Psalm 91) to guard and defend Pakistan's vulnerable Christian communities. * intervene in Pakistan to bring about cultural change. -- We pray for Prime Minister Nawaz Sharif and for all those in authority and all those with influence in politics, media, education, the judiciary, the security forces et al); may they have insight and courage to tackle Pakistan's problems at the root -- for just picking off the bad fruit will never suffice. (Matthew 7:15-20). -- We pray for Pakistan's Muslim majority; may they grow dissatisfied with Islam and be awakened to its failings, yearning for righteousness and justice, and may their hearts be open to the Gospel. -- We pray for Pakistan's churches and Bible Colleges; may the Lord provide all their needs -- material, physical and spiritual. and we thank you Lord for delivering the Christians of Warsak Dam Christian Colony from what would otherwise have been wholesale slaughter. 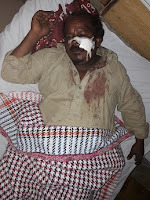 Early on Friday 2 September four Islamic militants attacked the Warsak Dam Christian Colony with the intention of wiping out the 30-40 Christian families living there. First they shot and killed Samuel Masih as he unlocked the gates at 5:30am. Fortunately someone managed to call the police. 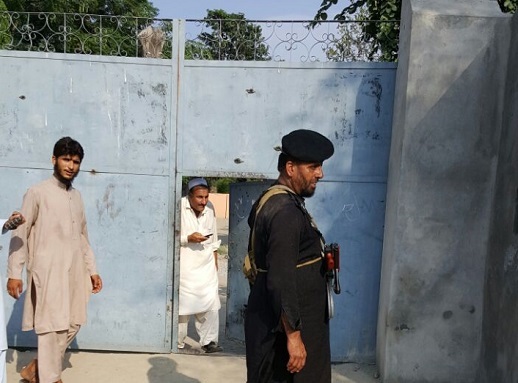 They happened to be close by and on high alert, having been informed that terrorists were planning to attack the nearby Warsak Military Cadet College. All four terrorists were killed, though miraculously no other Christians perished, despite one terrorist detonating his explosive vest inside a Christian family's house. May Jesus our Saviour and Shepherd comfort and support Samuel Masih's widow and five children. May Yahweh Sabaoth, the Lord of hosts, command his angels (Psalm 91) to guard and defend Pakistan's vulnerable Christian communities.